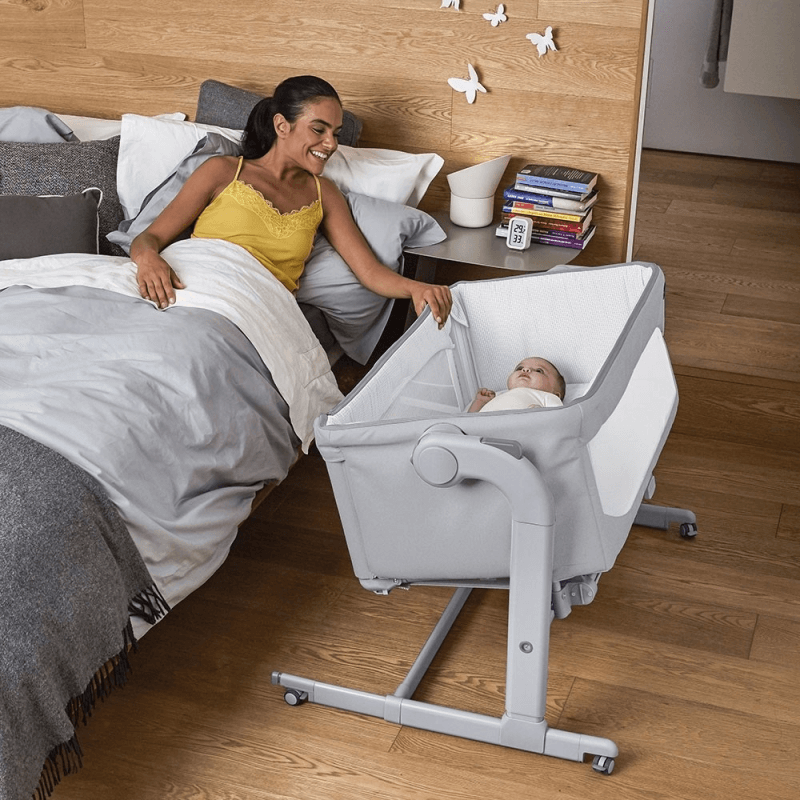 Introducing the latest side sleeping crib in the award-winning range, the Chicco Next2Me Magic with its luxury design that offers maximum comfort for both parents and baby throughout the early months and beyond. 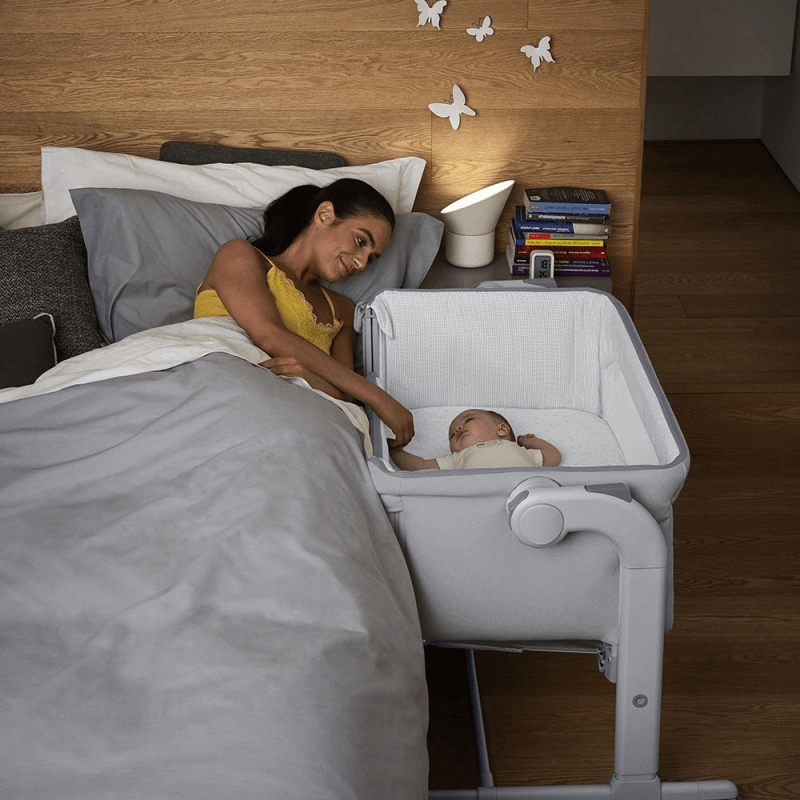 The all new one hand sliding side panel, which is to be used when fixed to the adult’s bed, makes it even easier for you to reach little one during the night, this innovative feature not only adds simplicity but ease of use for the various modes of this Side-Sleeping Crib. 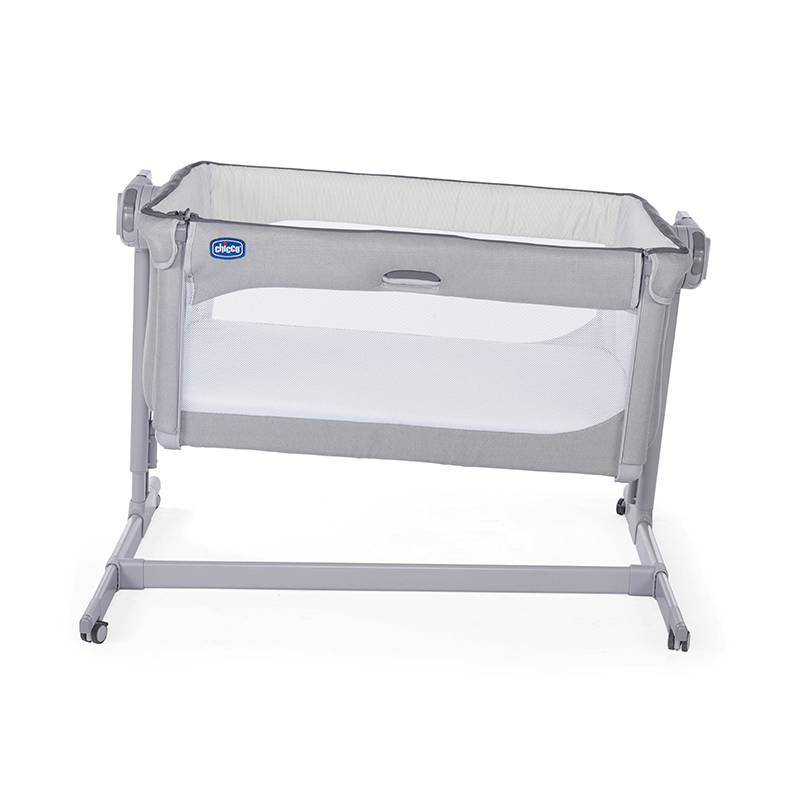 The Chicco Next To Me Magic also includes a new rocking mechanism that can be operated in free standing mode by the touch of a button from the top of the crib; which means no bending for Mum or Dad! 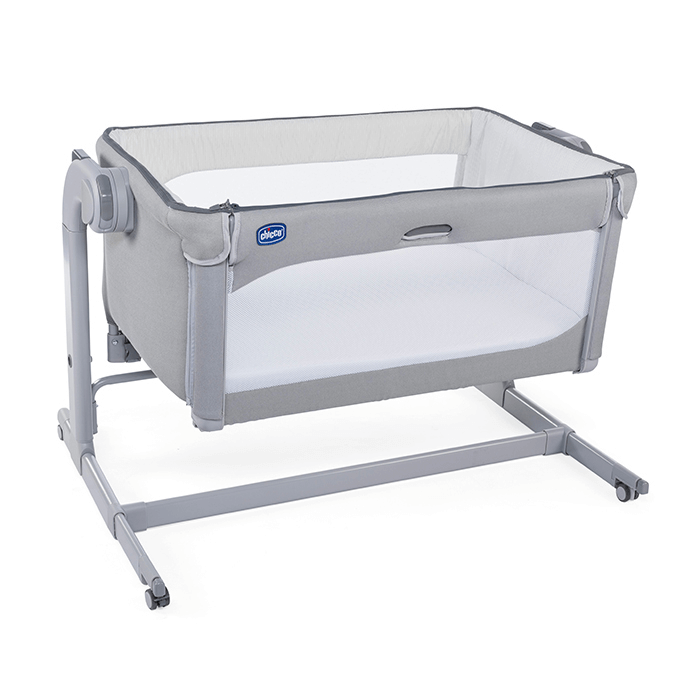 This crib features 11 height adjustable levels with versatile legs that can simply and quickly adapt to any bed, including Divan’s thanks to the auto retractable feet. 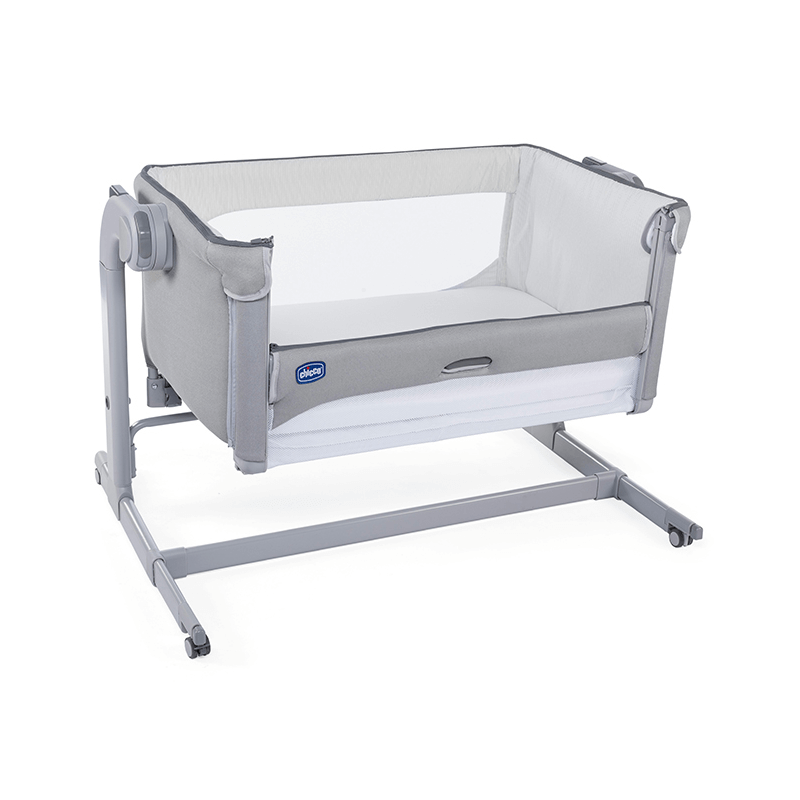 Comfort and safety are at the heart of the Chicco Next2Me Magic and this Crib will tilt to help support your baby with reflux and congestion. 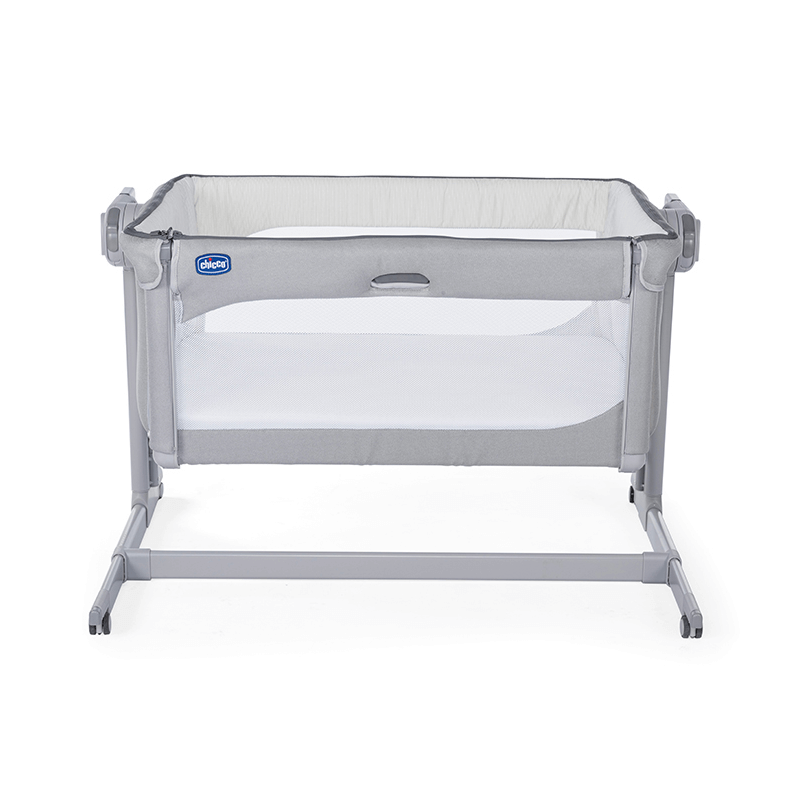 Not only this but the 3D mesh mattress cover and two mesh side windows will help to generate extra air ventilation during the night to comfort and soothe your little one. 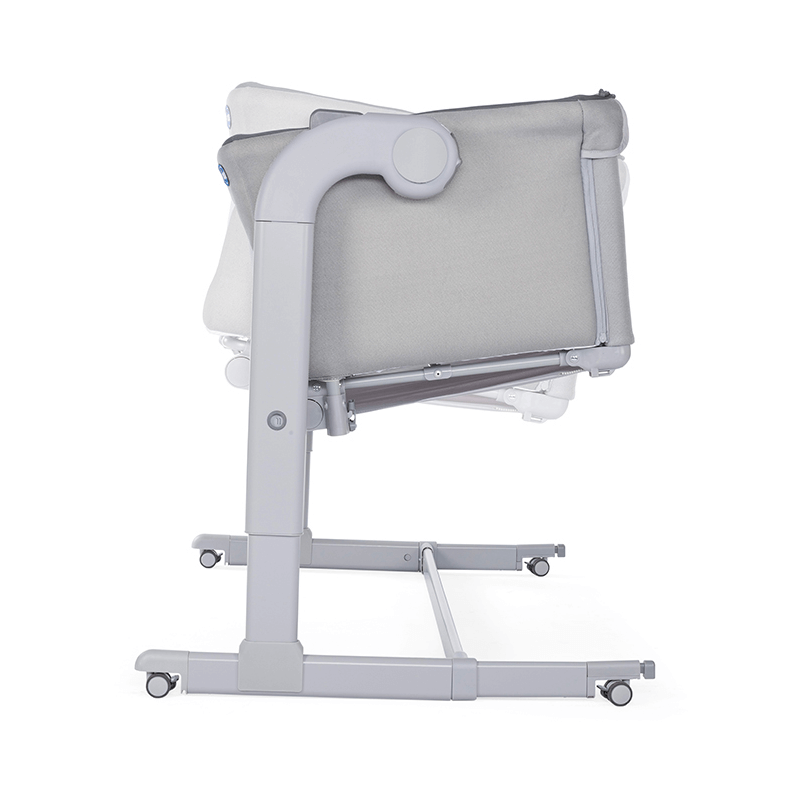 The Chicco Next To Me Magic can be easily moved around your home thanks to the integrated swivelling wheels. 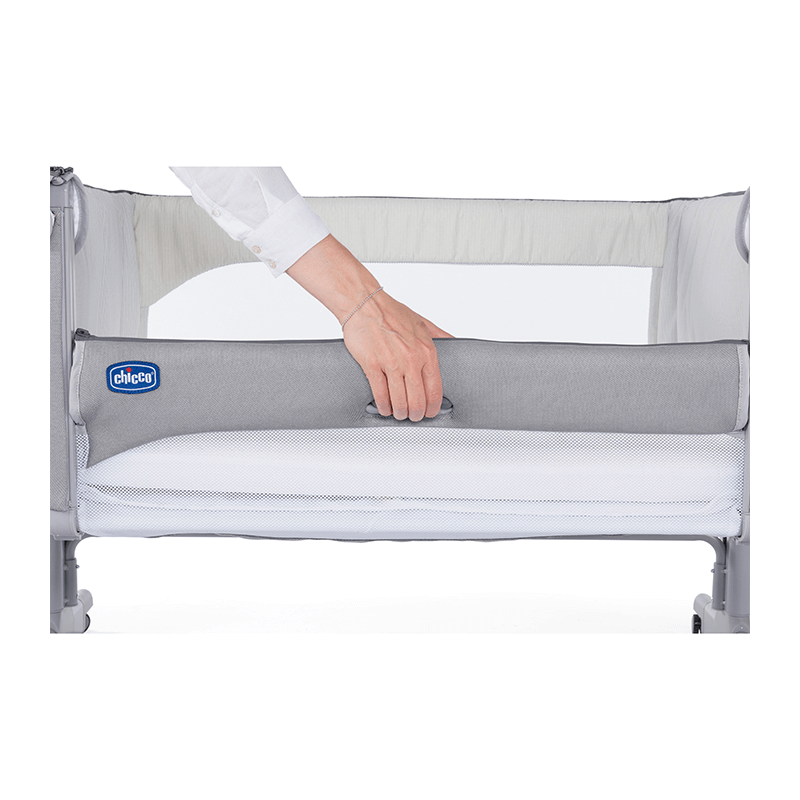 In addition to this, the Crib has been designed with stylish zipper detailing on the soft outer cover to make removal and cleaning of the cover easier than ever before.